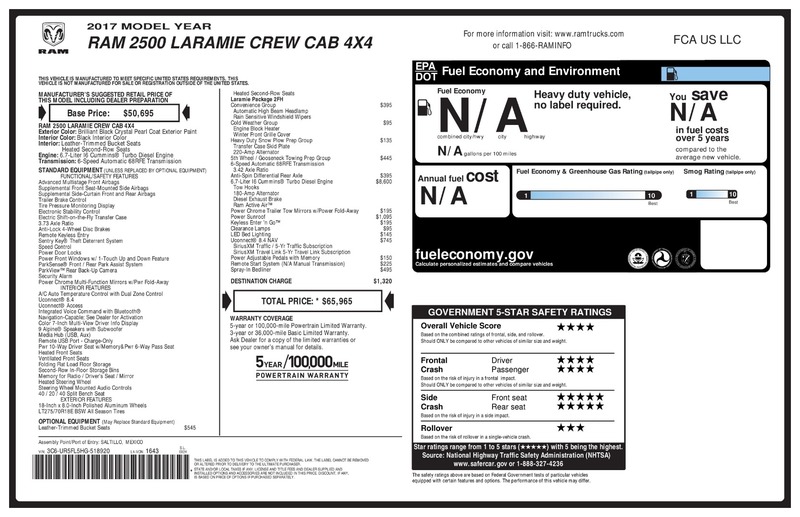 2017 RAM 2500 Printer Friendly Flyer. 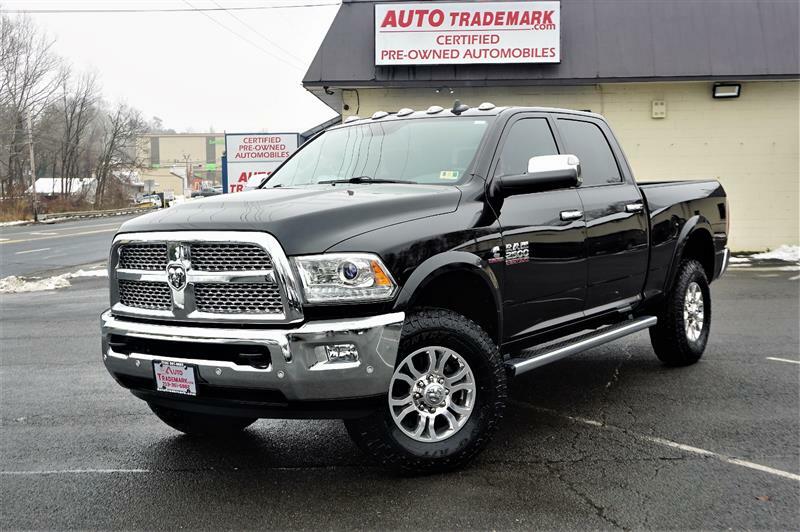 1 Owner, Lifted, New Tires, Clean Carfax, Factory Drive/Train Warranty, 4x4 2017 Ram 2500 Laramie Crew Cab, 6.7L Cummins Turbo Diesel. 6 .5 Ft Bed, Brilliant Black Crystal Pearlcoat w Black Interior, Loaded with 20 Inch Plus Wheels, A/C Seat(s), ABS Brakes, Air Conditioning, Alloy Wheels, Alpine Sound System, AM/FM Stereo, Automatic Transmission, Auxiliary Audio Input, Bed Cover, Bed Liner, Bluetooth, Cruise Control, Diesel Engine, Front Seat Heaters, Heated Steering Wheel, Leather Seats, Memory Seat(s), Navigation System, Overhead Airbags, Parking Sensors, Power Locks, Power Mirrors, Power Seat(s), Power Windows, Rear Seat Heaters, Rear View Camera, Remote Start, Running Boards, Satellite Radio Ready, Side Airbags, Smart Key, Sunroof(s), Tow Hitch, Traction Control. Financing And Extended Service Plans Available.